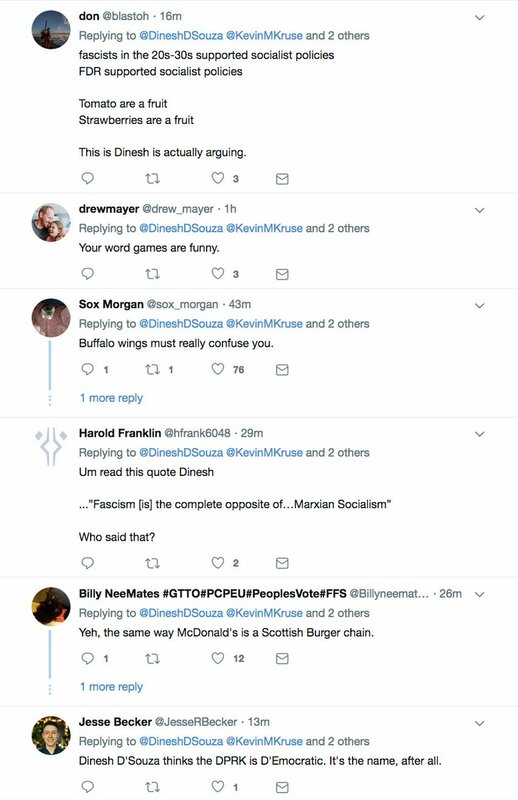 Thread by @KevinMKruse: "Yes, it *is* a silly argument! That's why it's not an argument actual historians and political scientists make, but rather one partisan hack […]"
Yes, it *is* a silly argument! 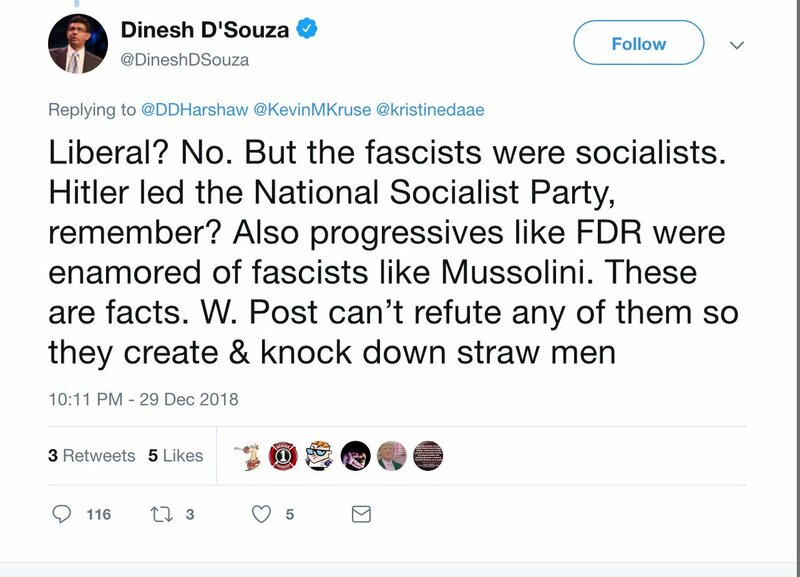 That's why it's not an argument actual historians and political scientists make, but rather one partisan hacks use as a straw man. It's absolutely true that only a small number of southern Democratic congressmen switched parties while in office. I mean, this is the whole reason why Strom Thurmond's switch was such a huge deal at the time. It was historic because it was rare! Conservative speculated at the time, like William F. Buckley here, that other southern Democrats might follow Thurmond to the GOP, but only if -- and it was a *huge* if -- they were allowed to maintain their seniority, and all the congressional perks and power that came with it. Such grand plans were floated repeatedly across the late 1960s -- here's another one from 1969 below. But they always fell apart on the issue of southern Democrats' seniority. Without the same guarantees that Thurmond had been given, no senior southern Dems would jump. Instead, the old Dixiecrats stayed put in the party. But they encouraged the next generation of white conservatives in the South start their careers in the GOP. Here's a thread I did on the first wave of southern Republican congressmen elected in 1964. They were all former Democrats who jumped to the GOP over the Civil Rights Act, who then voted against the Voting Rights Act and opposed civil rights activists. As I noted in this thread, that first generation set the pace for future Republicans in the region -- sparking the political careers of prominent figures like Newt Gingrich and Jeff Sessions. Over the coming years, countless other white southern conservatives -- who had started their political careers as strategists and aides for Dixiecrat congressmen -- ran for office themselves as Republicans. Trent Lott had been an aide to the William Colmer, a Dixiecrat who stayed a Democrat because his seniority there made him the head of the powerful House Ways and Means Committee. Colmer chose Lott to succeed him in 1972, but had him run as a Republican. This is how the party realignment of white southern conservatives happened in Congress -- in fits and starts, over several decades of time. That's not the only way realignment took place. Governors, for instance, could switch more easily. In Virginia, Dem. Gov. Mills Godwin, an outspoken leader of segregationist resistance, switched parties and won re-election as a Republican in 1973. Party switching for other statewide officials was more common. Party realignment was a slow, convoluted process that stretched from the 1930s through the early 1990s, unfolding case by case, in fits and starts. Again, the idea that everything changed in a flash in 1964 *is* silly. That's why it's only used by hacks as a cheap straw man. Imagine if Obama hadn’t gotten the Affordable Care Act passed in 2010, even with Democrats in full control of Congress. Imagine if Obama then made the ACA the central focus in the midterms, but Dems lost 40 seats and control of the House anyway. Then imagine he demanded billions to fund it anyway, even though Congress and voters had just rejected the idea. Imagine if Obama then shut down the government when Boehner and the Tea Party Republicans refused to fund it too. Now imagine that, weeks into a government shutdown of his own making, Obama then said he was thinking about declaring a national emergency to fund it anyway, and that as president he had the right to do that whenever Congress refused to do what he wanted. 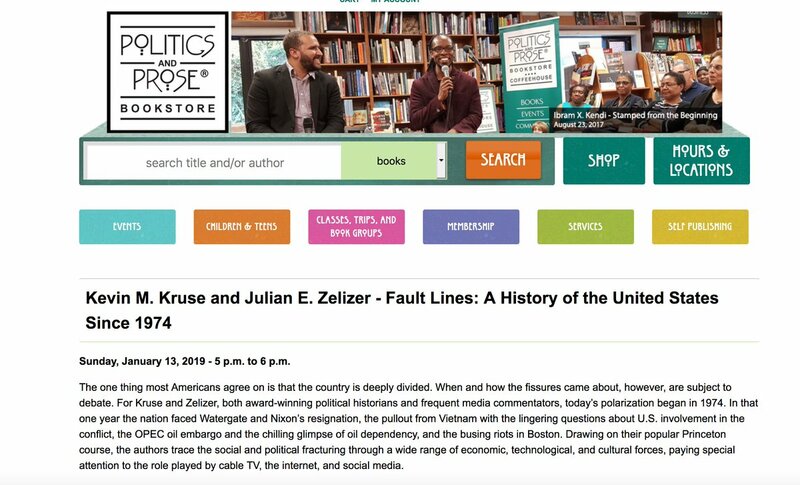 @julianzelizer and I have two events for Fault Lines coming up next week. Then, the next day, Monday, January 14th, we'll discuss some of the lessons that Fault Lines offers for Congress today in a noontime lunch discussion with @PolReformNA. It's like the end of "Mary Poppins" when she realizes the Banks no longer need her and can take care of themselves. I'm getting a little choked up. 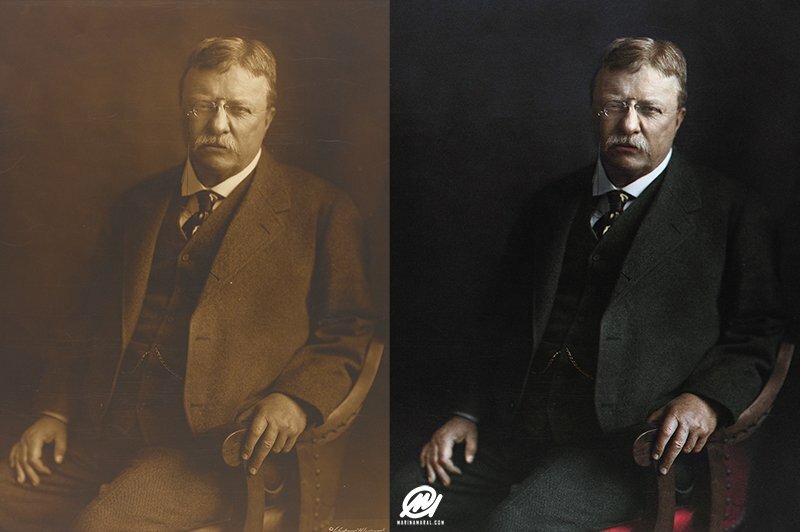 On this day in 1901: Theodore Roosevelt became the youngest ever American president. 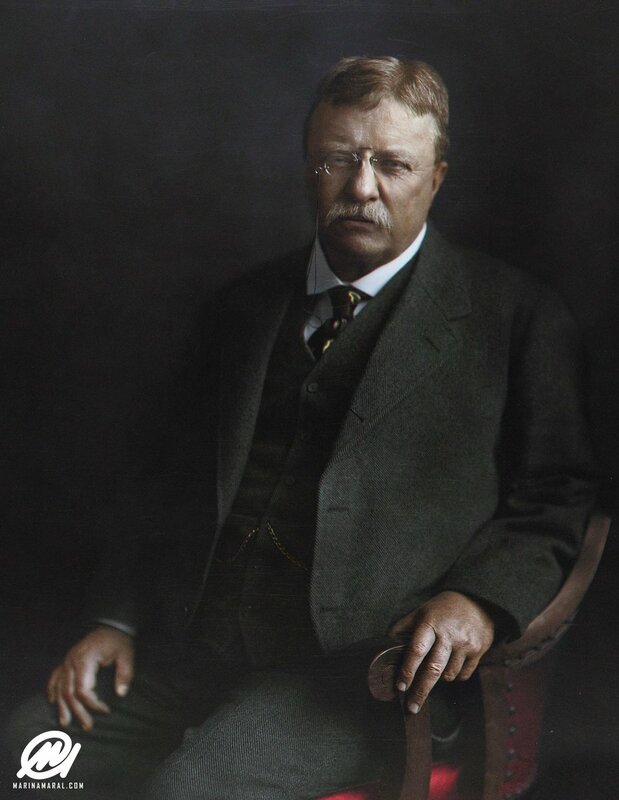 He remains the youngest person to become President of the United States.